A qualitative change is taking place within the European Union where it is crystal clear that national independence and democracy are being dumped without formal procedure or public announcement. A couple of years ago Lord Mandelson, former EU Commissioner and New Labour guru, said “the age of pure representative democracy is coming to an end”. Surprise, surprise, that situation is now with us and happening to Britain as well as other Member States. 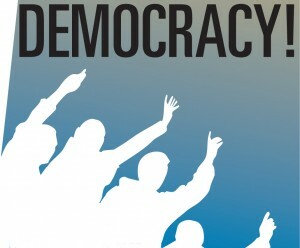 The opportunity dealt up by the financial crisis to cull democracy has been forced, grasped and promoted by the financiers and bankers. They have taken control and government ministers are their spokespersons implementing the moneyed men’s policies to keep capitalism alive in a form the financial sector controls. Two prime ministers have been removed. Unelected financiers have been put in their place to run affairs including the acute austerity policies in Greece and Italy. Draconian measures have been loaded onto the peoples of Ireland, Portugal and Spain and now joined by France and Belgium. The Frankfurt Group reflects the dictatorial procedure being put in place in the eurozone. There is no pretence that intergovernmental meetings are taking decisions. Several Prime Ministers have been summoned to Berlin to receive their orders. Even the Commission President’s proposal to solve the crisis was rebuffed. Mr Cameron failed to join the group discussing the euro crisis. In Britain two million workers came out on strike on 30 November over pension arrangements the ConDem Government is attempting to impose. It is blatant robbery from pension funds to satisfy the greed of those with an over-supply of money and a direct attack on the public sector. As the posters carried on the demonstrations and rallies around Britain stated it is an attempt to make public sector workers “pay more for less and retire later”. A couple of weeks beforehand Government minister, Francis Maude, said “this is the final offer” but it turned out to be a piece of failed blackmail. The attack on pensions and huge cuts in jobs is a common policy being imposed on public sector workers across the EU. The announcement by the Chancellor of the Exchequer that pay will be capped for two years followed by miserly pay increases is also common in other Member States. 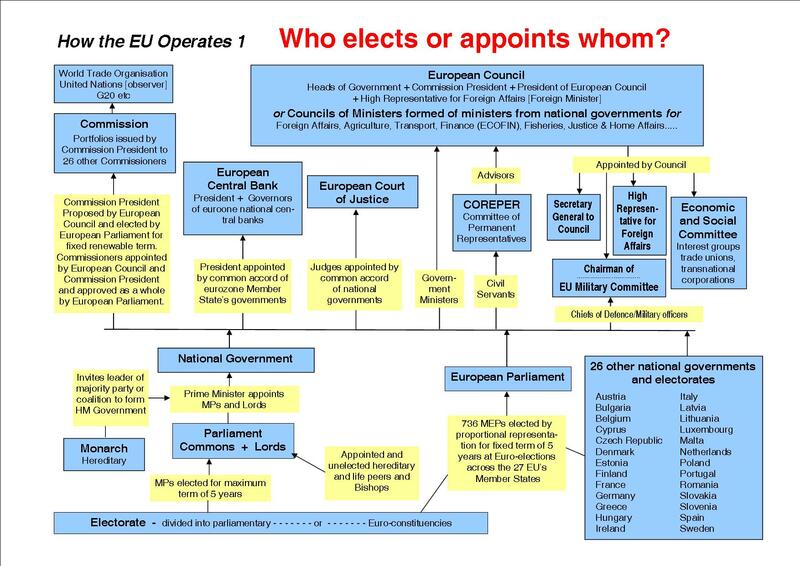 The thrust in all EU Member States, especially those in the eurozone, is to centralise powers, sacrifice national government powers and hence formal democracy. On top of this is the peddling and over-stating of the financial crisis, national debts, deficits and eurozone crisis where the real motive is a massive shift of wealth from those who work for their living to those who have an overabundance of wealth. As our lead article explains this ConDem government is fully behind the austerity policies in the eurozone and of course Britain. This Condem government is signed up to a “closer European Union” which includes the wholesale attack on both middle and working classes. Since the foundation of our Campaign we have made clear that trying to force different economies into a monetary, economic and fiscal union would be a disaster. It is no comfort to say “we told you so”, that will not halt the processes taking place or the impoverishment of millions of lives and rational development of Member States – including our own. 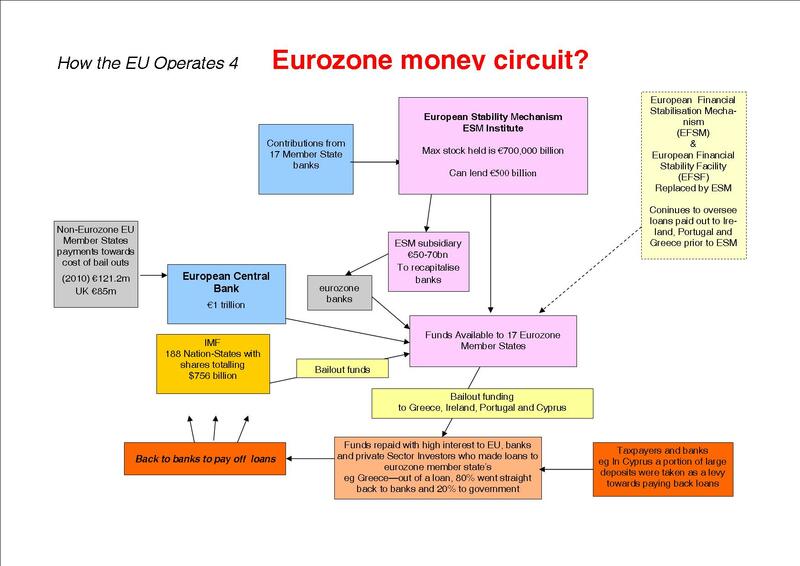 With the full support of Messrs Cameron, Osborne, Clegg and their cabinet of millionaires the Frankfurt Group is about to force a political union within the EU. This will bring about the end of all forms of democracy and the right to self-determination of nation-states. Mandelson’s forecast is the same as saying the French Revolution will be undone. The end of the right to self-determination and independence is to undo the American Revolution. The growing opposition of the trade unions and labour movement to ConDem government policies has to be further widened to appreciate that the overarching EU factors have to be understood and taken into account and acted upon. That requires both class and national aspects of the battle to be recognised. Otherwise we will have bankers and financiers ruling us as an oligarchy where once there was democracy and nation-states, the very things that can control private capital.